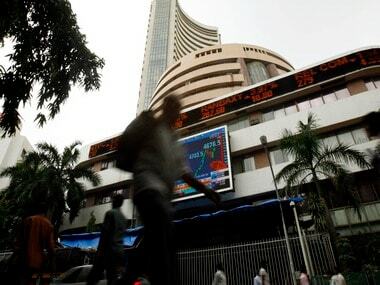 Mumbai: The benchmark BSE Sensex started on a negative note, shedding over 100 points today, on weak global cues and rupee depreciation against the US dollar. Asian shares fell across the board, following an overnight drop in US stocks. Rising US bond yields and crude oil prices too worried investors. Market sentiment also turned cautious ahead of April derivatives expiry due tomorrow. The 30-share index dropped 105.53 points, or 0.30 percent, to 34,511.11. The gauge had gained 201.06 points in the previous two sessions. Similarly, the NSE Nifty fell below the 10,600 mark, shedding 25.85 points, or 0.24 percent, to 10,588.50. 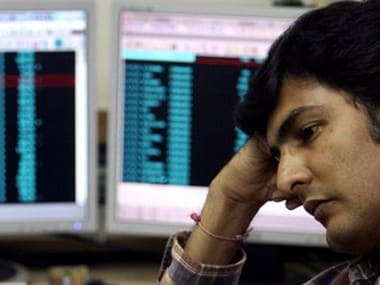 Major losers were NTPC, Dr Reddy's, ONGC, Tata Steel, Asian Paint and Sun Pharma, falling up to 1.29 percent. Sectoral indices led by power, banking, capital goods, realty, IT, PSU and metal stocks were trading in the negative zone, falling up to 0.82 percent. On the other hand, Bharti Airtel was the biggest Sensex gainer, rising nearly 3 percent. The company, along with Idea Cellular and Vodafone Group, today announced an agreement for the merger of Indus Towers and Bharti Infratel to create the largest mobile tower operator in the world outside China with over 163,000 towers across 22 telecom service areas. Airtel, however, reported its lowest quarterly net profit in at least 14 years yesterday. Other gainers were Wipro, TCS, Adani Ports, Infosys and RIL, rising up to 1.90 percent. Brokers said sentiment turned weak on sustained capital outflows by foreign funds amid a weak trend in other Asian markets following overnight weakness at Wall Street after the 10-year treasury yield briefly touched the 3 percent level for the first time in four years. 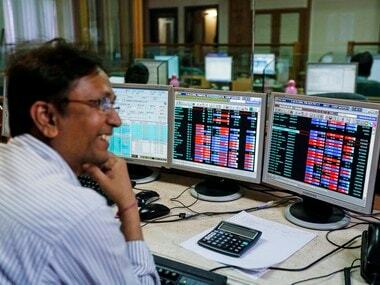 Meanwhile, on a net basis, foreign portfolio investors (FPIs) sold shares worth Rs 680.99 crore, while domestic institutional investors (DIIs) bought shares worth Rs 508.55 crore yesterday, provisional data showed. In the Asian region, Japan's Nikkei fell 0.65 percent, Hong Kong's Hang Seng shed 1.07 percent in early trade. China's Shanghai Composite index too was down 0.59 percent. The Dow Jones Industrial Average ended 1.74 percent lower in yesterday's trade. The rupee depreciated 21 paise to 66.59 against the US dollar today at the interbank foreign exchange due to appreciation of the greenback amid rising US bond yields and surge in global crude oil prices. Also, a lower opening in the domestic equity market too weighed on the investor sentiment. Dealers also attributed the rupee's fall to increased demand for the US currency from importers due to month-end demand and sustained foreign capital outflows. The rupee yesterday recovered by 10 paise to 66.38 against the US dollar due to fresh selling of the American currency by exporters and banks.